Pete North Politics Blog: Norway then... Norway! The divorce analogy has been used quite a bit throughout the course of Brexit where we are breaking up with a partner of some 40 years. So expanding that to start a new relationship, the Norway then Canada approach is essentially finding a nice new girl and asking her if you can use her pad for a bit and then swan off when you find something better. Charming. Some sofa surfing blokes can get away with that sort of thing but generally if you're starting a new relationship it helps to tell her she's the sweetest gal in the world and you'll be awesome together. But then EEA advocates in parliament are a pretty miserable bunch. Were we joining the EU today they'd have a Westminster bridge firework display with all the pomp and ceremony. Yet with Efta we're talking about it like a second best we're reluctantly forced to join after the proles have thrown a spanner in the EU works. Again using the divorce analogy, it's like settling for a girl you don't really like but are just afraid to be alone. To argue the case of why we join Efta you really have to sell it as superior. Which it is. It's a liberal, democratic alliance of North Atlantic countries and Switzerland - regarded as a world centre of banking. It's a natural alliance of nations who don't fit in the EU. We'd be in better company, particularly Iceland and Switzerland who both have a lot to teach us about improving and enhancing our democracy. 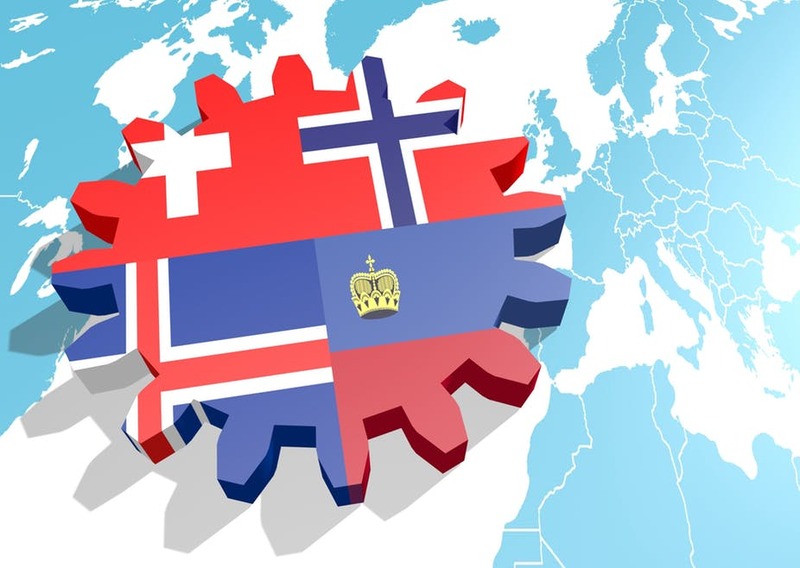 Efta isn't a supranational quasi-superstate bloc, it's not intruding on our values and it's not telling us what to do, and it's mainly about trade - which is what we Eurosceptics always said we wanted. EEA and Efta means preserving the bits of the EU worth having while finding a natural home with like-minded allies. The UK is is particular about fish as are Iceland and Norway. Our combined weight in global fishing affairs is considerable - not least because of the expertise we bring to the table. the same can be said of gas and oil exploration at sea. Teaming up with Switzerland also gives us a major voice in international banking. Efta with the UK is a power in its own right and certainly would be no passive "rule taker". To join Efta we have to want it and we have to show that not only do we want it, there is also a future for Efta states, and in the process, we can enhance the EEA which could potentially solve a problem for both the EU and Switzerland who have long been seeking to normalise their relations to no avail. There are any number of geostrategic benefits for the UK being in Efta which would be considerably more agile than the EU, but being that Efta is not a customs union it gives us trade options and the best of both worlds. This to me is an upgrade, not a booby prize. 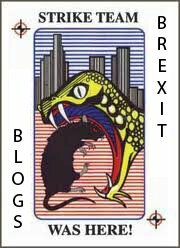 This blog has discussed at length how EEA Efta resolves most of the immediate Brexit problems but we should not be looking at this solely from the perspective of solving a Rubik's Cube. We have to see this in terms of not only how we can leverage the best deal for the UK but also how we can turn Brexit into a positive for all. For the EU it means far less exposure to the costs of Brexit but also rids it of one of its less cooperative members without souring European relations. If we are going to be minting new coins then why not mint one in honour of Efta and and make a decent show of it to prove to our allies that we are committed to a long term mutually productive relationship where we can have the best possible relations with the EU and still work collaboratively in trade affairs without petty spats and needless acrimony. What is totally lacking is any sense of vision. The Tories have their "fwee twade" agenda - which is taken seriously by no-one who knows about trade. Here though we have an avenue available to us that is not only pragmatic, it is also deliverable, realistic but also highly desirable if we do so in the spirit of building something and giving it new energy. The dismal hostility from Brexiters is hardly attractive to a new partner nor especially is the grudging negativity of remainers. What the MPs need to so if they want Efta is to not only get to grips with the issues, but also project a markedly improved attitude and show a bit of initiative in terms of presenting a viable vision. They need to be out waving the Efta flag as enthusiastically as they once waved the ring of stars. The notion of docking to Efta part time is very much the bureaucrat's solution devoid of any human energy or ambition. It is as though we are resigned to becoming a second rate power on an EU leash, somehow forgetting that Britain is a country of considerable economic, intellectual, academic and scientific resource with plenty to offer. Norway may play hard to get but she needs to know we are serious and we're not going to take her for a ride and use her. She isn't interested in a rebound relationship and on recent from is not impressed at our reckless and selfish behaviour. Who would take that on? The short of it is that the tide is going out on Tory trade fantasies and the latest enthusiasm for TPP is utterly ridiculous. Trade gravity is one of the few absolute rules in economics. We may not belong in a supranational federalising project such as the EU, but we are still every bit Europeans and we still belong in the European family of nations. Efta best represents our circumstances and by every possible measure including healing the nation, it is a no-brainer. What are we waiting for? Why are they owed civility? Brexit: A very messy, very costly business. Is Britain a business park or a country? None so blind as James O'Brien.